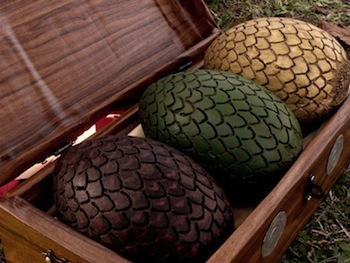 Daenerys Targaryen received three unhatched dragon eggs for her marriage to Khal Drogo. They hatched when she placed them on her husband’s funeral pyre. When the fire was blazing, she walked into the flames in the night and emerged in the morning with three hatched dragon babies earning her the name Mother of Dragons. 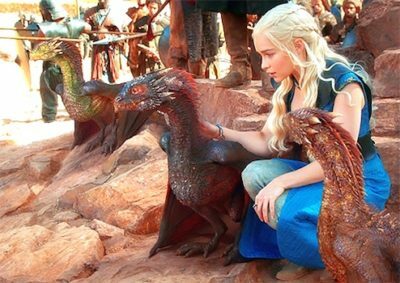 She named them Drogon, Rhaegal and Viserion. Drogon after her husband. It is black with red markings and larger than its siblings. Rhaegar is named after her deceased brother. It is green with bronze markings. 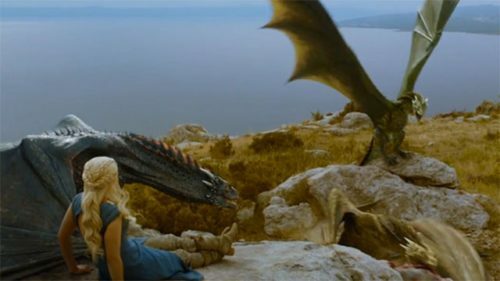 Viserion is named after other deceased brother Viserys. It is creamy white with gold markings. 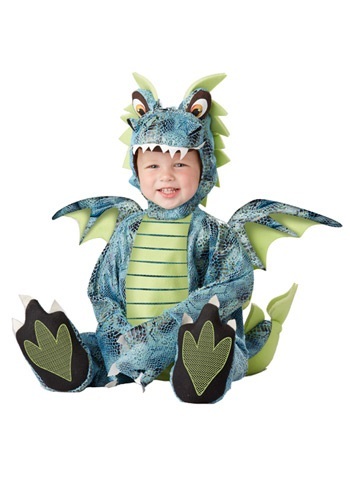 You can dress your little ones in dragon costumes. 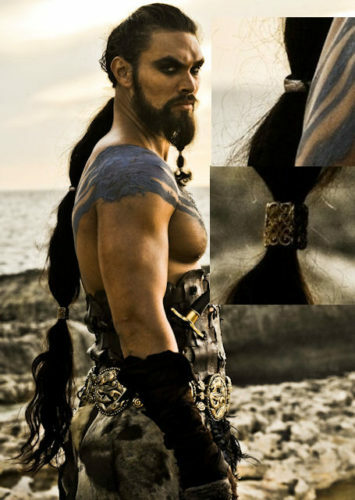 Here are some Game of Thrones costumes that they can use.